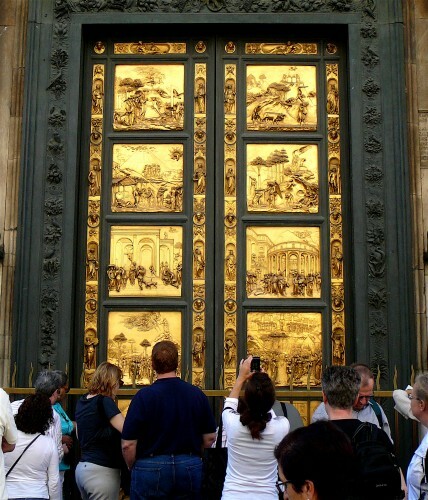 Tuscan Traveler’s Tales – Fake Doors of Paradise, Would Ghiberti Approve? Are they still the Doors of Paradise when they are fakes, facsimiles, copies? Is a masterpiece unique when there are exact replicas other cities, states, or countries? The Doors of Paradise – tradition tells us a young Michelangelo was so impressed by them that he described the doors as worthy to be the Gates of Paradise – seen by millions of awe-struck visitors each year are replicas. Only a small percentage of the tourists, or even the residents of Florence, have seen all ten of the original panels. This year in June, the city celebrated the 20th anniversary of the fake doors by giving the keys to the city to the donor, Japanese businessman Choichiro Motoyama. A perceptive sharp-eyed visitor to the inside of the Baptistry can find notation of Mr. Motoyama’s gift on the back of the replica doors. The inside of the Doors to Paradise note Mr. Motoyama's 1990 gift. Mr. Motoyama, 89, first saw the original doors in 1959. After the devastating 1966 flood tore off five of the panels and in 1980, the original doors were removed after close examination found irreversible corrosion from acid rain and smog, Mr. Motoyama conceived the idea of commissioning two copies of the doors – one for the city of Florence and one for himself. He put up about 1 billion, 300 million lire (672,000 euro or $934,000) per set to make the plan a reality. 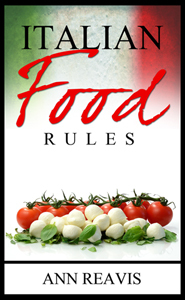 At first the city fathers said that Mr. Motoyama’s copy had to be smaller, but he refused. Then they conceded and in 1990 the new doors were installed on the east side of the Baptistry. In 1425 Lorenzo Ghiberti received the commission (he had already spent 20 years working on the North Doors) to create the East Doors of the Baptistry – the Doors of Paradise. Over 25 years later, Ghiberti and his studio of apprentices finished the ten panels, 22 heads of Old Testament prophets (the two heads in the center of the doors are of Ghiberti and his son Vittorio), and various other small sculptures of sibyls, prophets and angels that decorate the outer edges of the doors. The ten square panels were created using the lost wax process. Each panel was carefully modeled in wax and covered with liquid plaster and a clay jacket. The panels were then baked until the wax flowed away, leaving a mold into which molten bronze was poured. The bronze panels were allowed to cool slowly for several days, to prevent cracking, and then the clay and plaster were removed. After cleaning, each panel was chased, or worked in fine detail with metal tools, a process that took years. Then followed the dangerous fire-gilding process – a gold-mercury amalgam was applied to each panel and the toxic mercury fumes driven off by heating, leaving gold surfaces on the panels. The completed doors were installed in 1452. For five centuries the doors stood, until World War II. In 1943. the Nazi command in Italy ordered the evacuation of portable art works from Florence, despite its status as a “safe city”. Reichsminister Goering apparently coveted the doors and other treasures for his personal collection. But the doors were hidden in a railway tunnel south of Florence until the liberation of Florence in 1944. 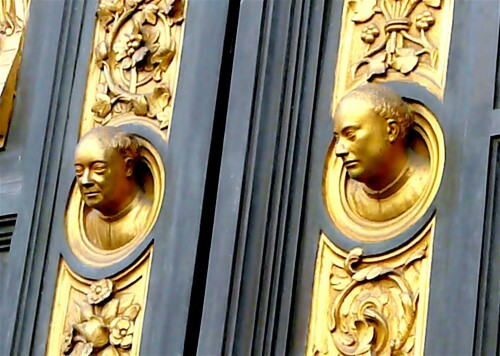 Soon after the war ended, Bruno Bearzi, official consultant and caretaker of Florence’s art works, cleaned the doors and made latex casts from which he cast panel replicas. When the doors were rehung, Bearzi offered the replica panels for sale. Grace Cathedral in San Francesco was nearing completion and the completion architects were searching for doors to place in the main entrance. Through the gift of Mr. and Mrs. Charles D. Field of San Francisco, the replicas were purchased. The Italian government was at first reluctant to let the replicas out of the country, but Bearzi argued successfully that the panels, having shrunk during casting, were smaller than the originals, The doors were framed and installed at Grace Cathedral in late 1964. Mr. Motoyama and Grace Cathedral don’t have the only copies. The Victoria and Albert Museum in London got a copy in 1867 made by a British foundry, Franchi & Sons. Also, the Metropolitan Museum of Art in New York appears to have a copy. 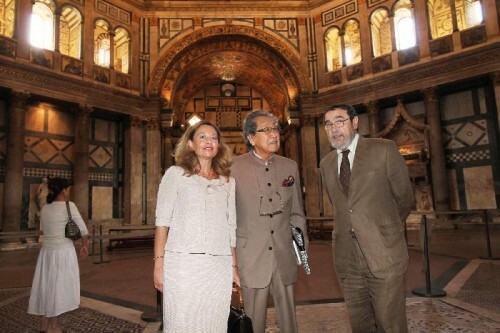 As owner of Sun Motoyama, Ltd., a company that imports luxury Italian-designed goods by the likes of Gucci, Ferragamo, Etro, and Loro Piana, Mr. Motoyama is glad to be able to give back to his favorite city. But he is also pleased with a pair of almost unique doors he gets to view every day in Japan.